Following the midterm elections on November 6, Congress returned to Washington, D.C., with a list of items to tackle, including passing bills to fund the government and avoid a government shutdown — with little over one month to complete the job. In addition to the scheduled week where members were back in their districts for the Thanksgiving holiday, Congress spent four unplanned days out of session to honor former President George H.W. Bush, who passed away November 30. As this issue goes to press, 85 judicial nominations have been confirmed by the Senate (including nominees for 53 district court and 30 circuit court judgeships). Pending before the Senate are 107 additional nominees, 75 of which are ready for approval by the Senate Judiciary Committee, and 32 of which have been reported by the committee and are awaiting confirmation by the full Senate. The confirmation process for these nominees has grinded to a halt due to objections raised by retiring Senator Jeff Flake (R–Arizona) and member of the Judiciary Committee. On November 14, Senator Flake announced he would not support confirmation of any judicial nominations until a bill protecting Special Counsel Robert Mueller is considered for a vote on the Senate floor. Because the Republicans have only a one-person majority on the Judiciary Committee, and the Senate has limited time to consider nominations, Flake is in the position whereby he can effectively prevent confirmation of some — or all — pending judicial nominations. Senate Majority Leader Mitch McConnell (R-Kentucky) has adamantly stated he will not bring Senator Flake’s legislation up for consideration by the Senate. Given the limited amount of time remaining this year, it is not clear whether a deal can be brokered to dislodge Senator Flake’s objections and clear the path for the Senate to take up and confirm pending judicial nominations. Any nominations not confirmed will need to be resubmitted in the next Congress by the president. Funding for the Department of Justice (DOJ) expired September 30 as Congress failed to enact appropriations for the department for fiscal year 2019 (FY19). On September 28, President Trump signed stopgap legislation to temporarily fund the Justice Department (and other federal agencies for which Congress had not passed appropriations bills) through December 7. On December 4, Congress passed another stopgap bill, this one funding the department through December 21. At the time this issue went to press, Congress had not made any progress on passing the appropriations bills fully funding the federal government for the remainder of FY19. The bills appropriating funds for the Justice Department for FY19 by the House and Senate still need to be reconciled to resolve any differences between the two versions; however, both propose funding the DOJ at $30.7 billion, which is $402.5 million more than the DOJ received in FY2018. The bills include $2.9 billion for law enforcement and crime prevention grant programs. The chairman of the Senate Commerce Justice Science Appropriations Subcommittee, Senator Jerry Moran (R-Kansas), has stated that he expects that once the House and Senate bills are reconciled, the final version will contain all of the funding proposed for the DOJ. Criminal Justice Reform in 2018? During the 115th Congress (2017–2018), several bills have been introduced to reform prison and sentencing laws in the criminal justice system. While most of these bills have not been considered in either chamber, on May 22, 2018, the House did take up and pass the First Step Act. This far-reaching prison reform bill includes provisions funding prison-based training programs intended to help rehabilitate prisoners convicted of nonviolent crimes and authorizing early release for some participants in such programs. The bill sailed through the House by a vote of 360-59. Its fate in the Senate, however, has been unclear for months. Conservative senators contended that the House-passed bill was too forgiving of convicted felons. Democratic senators opposed the bill, arguing that by including only changes to prison and not sentencing reform, it did not provide comprehensive criminal justice reform. Senator Chuck Grassley (R–Iowa), Senate Judiciary Committee chairman, also refused to take up the measure because it did not address both prison and sentencing reform. Criminal justice reform saw new life, however, when, on November 14, Chairman Grassley introduced his own version of the Senate’s First Step Act. His bill contains the House-passed prison reform language and includes some sentencing reform. The bill gained bipartisan support from Democrats and some Senate Republicans. It was opposed by conservative Republicans who were concerned about the changes that would be made by the bill, including reducing the mandatory sentencing terms for certain nonviolent criminals, such as certain drug offenders. On December 12, Chairman Grassley released a revised First Step Act that included changes intended to address some of the concerns raised by law enforcement groups and conservative senators. For example, Senator Ted Cruz (R–Texas) issued a statement in support of the bill after he received assurances from Chairman Grassley that the legislation would be rewritten to prevent the early release of violent offenders. At the time this issue went to press, the fate of the Senate bill remained uncertain. Senate Majority Leader McConnell announced December 11 that he intends to have the Senate vote on the bill before 2019. However, a number of Republicans, led by Senator Tom Cotton (R–Arkansas), are expected to remain strongly opposed to the bill. 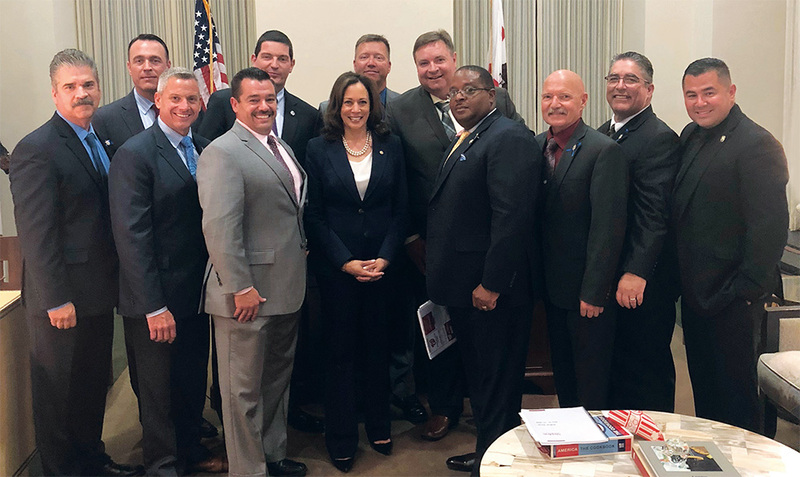 PORAC President Brian Marvel issued a letter indicating that PORAC could not support the legislation, urging Congress to first take into account the negative impact that Propositions 47 and 57 have had on public safety in California. 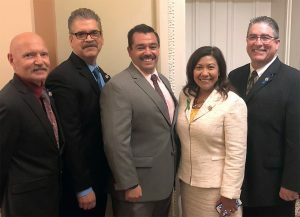 President Marvel also requested that Congress increase funding for local law enforcement agencies to help defray the costs that agencies are likely to incur in dealing with early-released prisoners who return to commit crimes. On December 7, President Trump nominated William Barr to replace former Attorney General Jeff Sessions. Barr served as attorney general under the late President George H.W. Bush from 1991–1993, as assistant attorney general in the DOJ’s Office of the Legal Counsel before that, and as both acting and deputy attorney general. President Trump stated that he expects Barr to be quickly confirmed by the Senate on a bipartisan basis. Incoming Senate Judiciary Chairman Senator Lindsey Graham (R–South Carolina) has indicated his intent to move promptly on the nomination. During his previous stint as attorney general, Barr was a proponent of strict immigration laws and was viewed as a hard-liner on criminal justice issues. In 1992, Attorney General Barr authored a paper, “The Case for More Incarceration,” advocating mass incarceration and the reallocation of DOJ resources toward more aggressive enforcement of laws relating to the trafficking of drugs and guns and to gang violence. Although President Trump expects Barr to be confirmed by a bipartisan vote, Senate Democrats have expressed concern over Barr’s view that presidential power should not be limited. For example, as assistant attorney general at the DOJ, Barr argued that the president has exclusive power and that any attempts by Congress to provide a check on the president’s power should be resisted. Senate Democrats worry that Barr’s views may indicate that, as attorney general, he would try to undercut Special Counsel Mueller’s investigation. Before the Senate votes to confirm him, Barr will testify in front of the Senate Judiciary Committee, where Democrats will likely question him about his position on presidential power before deciding whether to support his confirmation. Senator Susan Collins (R–Maine) has also stated she wants to ensure that Barr will not move to limit Special Counsel Mueller’s authority before supporting him. To be confirmed by the Senate, Barr needs at least 51 votes. As of 2019, there will be 53 Senate Republicans, so even if three Republican senators decide to vote against Barr, he could still be confirmed with a 50-50 margin in the Senate, assuming Vice President Mike Pence would be available to cast a tie-breaking vote and confirm Barr 51–50.